Actor who was a member of the original Our Gang kids comedy cast and suffered from typecasting which hurt his acting career going further. He worked as a child model for Dallas department stores and brands like Wonder Bread. 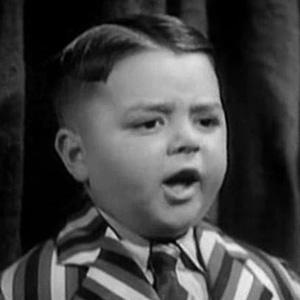 He is mainly known as Spanky on a TV shorts series. His parents were Robert Emmett and Virginia McFarland, and he had two brothers and one sister. He appeared in two Fritz Lang features in the 1940s.